Guest commentary: Where's the funding to support CDC research into gun violence? 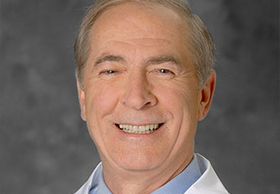 Dr. William A. Conway is CEO of the Henry Ford Medical Group in Detroit. This past Saturday, our young people organized and led more than 800 demonstrations across the U.S. and the world in support of meaningful action on gun legislation to address the epidemic of gun violence in this country. The hundreds of thousands of marchers who turned out was an extraordinary demonstration of support for the victims of the mass shooting at a Parkland, Fla., high school as well as those killed or injured in previous shootings and other incidents of gun violence. It was only 10 days earlier when many of these same young people walked out of school in a stunning display of nationwide solidarity, demanding "We want education without fear of annihilation" and protesting inaction on gun safety legislation. We, like others, are not yet convinced lawmakers will meet the demands of a well-intentioned group of teenagers who can't yet vote. That's just one of the reasons compelling us to add our voice to this national chorus. As physicians in metropolitan Detroit and members of the Henry Ford Medical Group, we are uniquely acquainted with this American calamity. It presents almost daily in our emergency rooms, intensive-care units and family waiting areas. In the past several weeks alone, shootings have dominated Michigan headlines: the Central Michigan University student who shot his parents in a campus dorm; a man who killed three people including a church deacon on Detroit's west side; a suburban man who shot his wife and calmly walked into the police station to turn himself in. Michigan ranks among the top 10 states for gun violence, with a firearm death rate of 12.3%. Of the 30 leading causes of death in the U.S., gun violence is the least researched. In 2017, a JAMA letter examined federal funding and the frequency of research published on the 30 leading causes of death in the U.S. In relation to the number of people killed, gun violence was the least-researched cause and ranked second to last in the amount of allocated funding, receiving only 1.6% of research dollars. Since the mass shooting in Las Vegas on Oct. 1, more than 2,700 people have been shot in the U.S., according to the Gun Violence Archive. More than 70 teens alone have died due to gun violence since the Feb. 14 Parkland shooting. In Detroit, five people were shot on the day of March for Our Lives. We can argue about whether gun violence meets the World Health Organization's official definition of a public health crisis, but, given these staggering numbers, we find it ironic, and frankly immoral, to ignore it any longer. We call on our elected officials to act in good faith to combat this epidemic. First, while we applaud the provision in the $1.3 trillion omnibus spending bill signed into law earlier this month that gives a green light for the Centers for Disease Control and Prevention to study gun violence, it didn't go far enough. Unless Congress appropriates funding, we're not hopeful progress will be made. Because of the passage of the Dickey Amendment in 1996, banning the CDC from spending taxpayer money on advocacy-related research, we have lost precious time to answer the basic questions that could inform meaningful solutions: Who is most likely to use a gun during the commission of a crime? How are guns typically purchased? Are the crimes committed by the person who actually bought the firearm? What kinds of policies actually work to reduce violence? Are interventions and other prevention efforts effective? We hear frequent calls for increased mental health services to prevent gun violence, but such concerns are not backed by science. Based on multiple Gallup polls, half of Americans are convinced that gun violence is caused by a failure to identify those with mental health issues and that addressing those issues would prevent that violence. The fact is, only about 1% of mass shootings are carried out by those who are considered mentally ill, according to the American Psychiatric Association. As physicians we obviously recognize the need to better address mental health, but our primary goal is to find facts. That's why we must empower the CDC to initiate unbiased, scientific studies to find these answers, no matter the outcome. Second, we ask Congress to pass sensible legislation limiting access to firearms for children in particular, and exploring more effective background checks and mandatory waiting periods. We know that this is a politically charged issue and will not be easy. The Henry Ford Medical Group is embarking on a broader gun safety advocacy initiative, and, as we work together to identify effective strategies and partners, we hope our lawmakers will partner with us as well. At the same time our kids walked out of school in protest and organized marches across the country, you can bet that somewhere else, another child about their age, was contemplating picking up a gun to kill him/herself or someone else. It's both groups we seek to protect—our children who are standing up and calling for our help and those who need our help but are unable to call out for it.